The second class passengers on the Titanic were what we would consider today to be the middle class. The travelers in second class consisted of professors, authors, clergymen, and tourist. Many of these passengers would have traveled as first class on other vessels. A second class ticket at that time cost approximately 13 to 79 pounds, which would be the equivalent of $1800 today. The entrance to the Second Class dining room was nowhere as beautiful and magnificent as the well know First Class Grand Staircase. The second class passengers did have a library and smoke room in addition to their dining hall. In contrast to the Ten Courses First Class Passengers had for dinner, Second Class Passengers only enjoyed three courses. The first course would consist of soup, the second course was the main meal, and the third course were the desserts which were followed by coffee. 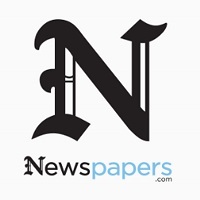 Father Thomas Byles was on his way to New York to officiate at his brother’s wedding. On Sunday morning he said mass in both the second and third class lounges. He was walking the upper deck when the Titanic struck the iceberg. He helped third class passengers to the boat deck and lifeboats. Near the end he is reported to hear confessions, recite the rosary and give absolution. He went down with the ship and his body was never identified. 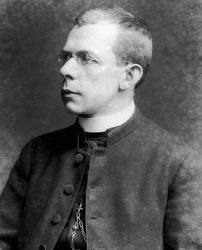 There was one other priest in second class, Father Joseph Peruschitz, who also perished. Lawrence Beesley reported both men were together hearing confessions. 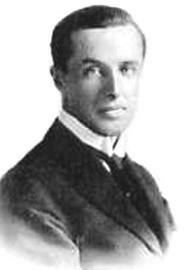 Lawrence Beesley was a teacher and wrote the first published account of the Titanic disaster just nine weeks after the event. He was reading in his cabin when the collision occurred. He died in 1967. 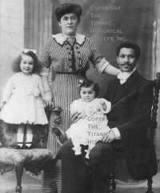 Joseph Laroche was the only black passenger on the doomed liner. He was travelling with his French wife and their two daughters. He held an engineering degree and was returning to his native Haiti for work. 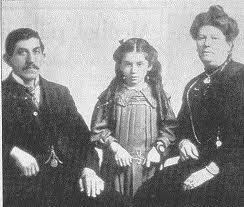 The family boarded the Titanic after discovering that aboard the La France their daughters would not be allowed to dine with them. Joseph perished with the ship. His wife and daughters returned to Paris, where his wife gave birth to a son. 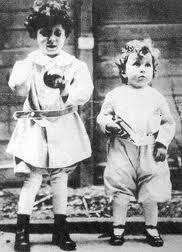 Michel Navratil had kidnapped his two children, three and a half year old Michel Jr and two year old Edmond, when he boarded the Titanic. He was travelling under the name Louis M. Hoffman. He placed his sons in Collapsible D, the last lifeboat launched. His body was recovered and buried in Halifax. Articles ran on “Titanic Orphans” in hopes of finding information on their family. Until their mother was located they stayed with first class passenger, Margaret Hays. 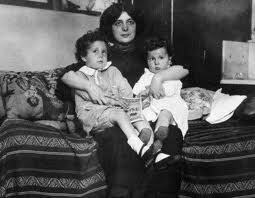 Their mother, Marcelle, sailed to New York and reunited with her sons on May 16, 1912 before taking her sons back to France. Edmond joined the French Army during WWII where he was captured as a prisoner of war. He escaped, but it affected his health and he died in 1953 at the age of 43. Michel received his doctorate and became a professor of philosophy before he died at the age of 92 in 2001. Kate Phillips was nineteen and traveling with her married employer, Henry Samuel Morley, under the assumed name Mrs. Marshall. 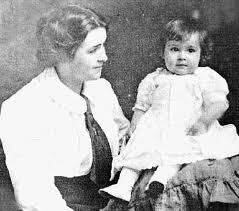 Her daughter, Ellen, is believed to have been conceived on the Titanic. Morley perished and Kate Phillips returned to her home in England. Their daughter was born in January of the following year and raised by Kate’s parents. Annie Clemmer Funk was a missionary in India, returning to her home in Bally, Pennsylvania. She’d been away for over six years and was returning because of her mother’s ill health. The ship was an incredible contrast to her life and work in Janjgir, India. Annie was boarding a lifeboat when a woman rushed past shouting for her children. She gave up her seat for this woman. Her family didn’t know she was on Titanic, because she’d been moved from another ship due to the coal strike. Six years earlier on her journey to India she wrote “Our heavenly Father is as near to us on sea as on land”. 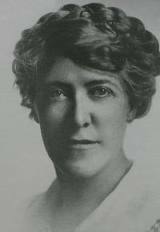 Edwina Troutt was scheduled to travel on the Oceanic, but transferred to the Titanic because of the coal strike going on at the time. While boarding the lifeboat, she was handed a five month old child, which she held all night. She died in 1984, six months after her 100th birthday. Thanks so much for this post. You hear so much about the first class passengers and those in steerage, but you never hear anything about the second class. This was highly informative and puts a different light on many different people. I really enjoy all the work you put into these posts. You’re welcome. I’m glad you enjoyed it and learned more about second class. What would have? 13 pounds? Or 79 pounds? Thank you for catching my error.